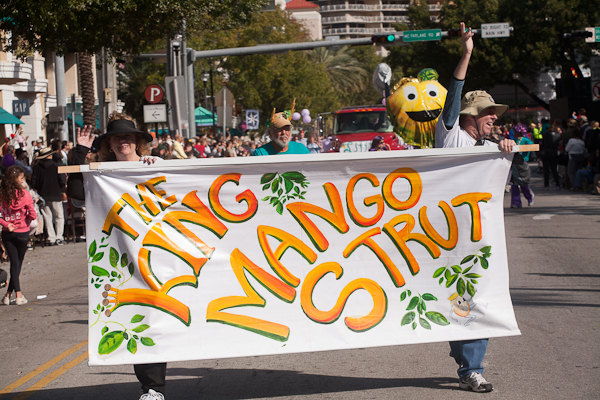 The King Mango Strut is an annual satirical parade held in Coconut Grove, Florida. Founded by Glenn Terry and Bill Dobson in 1982, it is held on the last Sunday of each year. The parade, which uses the motto "Putting the 'nut' in Coconut Grove", is composed of floats mocking local and national stories from the previous year.